Algae are a diverse group of lower (thallus) plants. The species are not necessarily closely related, so algae are a polyphyletic group. There are more than 30,000 species of algae. The science, which studies algae, is called algology. Algae include unicellular, multicellular and colonial organisms. All algae are photosynthetic eukaryotes, have chloroplasts and contain chlorophyll. Their color depends on the pigment that is predominant in their chloroplasts. Diatoms – the cell wall is made of silicon dioxide. The cell cytoplasm contains yellowish-brown pigments. Examples of green algae are Ulva, Spirogyra, Chlorella; examples of red algae are Lemanea, Audouinella, Coralline; examples of brown algae are Laminaria, Sargassum, Ectocarpus; examples of diatoms are Navicula, Melosira, Cyclotella. The thallus of the algae can be filamentous, plate-like, branched, etc. Some brown algae reach up to 30-60 m in length. Algae are a very ancient group of marine and freshwater plants. Some have adapted to live in humid soils, tree bark, wet rocks, etc. They can be floating or attached to the bottom of the water basins by special cells. Different groups of algae inhabit different depths in the water basins. Green algae live in shallow waters. Brown algae are spread up to 40-50 m depth. Red algae can reach up to 100 m depth. Algae are actively involved in the circle of substances in the nature. They synthesize nutrients and enrich the water bodies with oxygen. Algae are an important part of the water ecosystems and provide oxygen and food for the aquatic animals. Some red and brown algae are used in the food and pharmaceutical industries. Mosses are a group of higher plants characterized by the absence of special tissues designed to conduct water. Unlike the other higher plants, mosses do not have roots, but rhizoids. The group is paraphyletic. Mosses are relatively small plants (1 to 10-20 cm), very diverse in morphological terms. Most likely they have evolved from the green algae. They have a similar pigment complex and a close morphology of the gametophyte. There are more than 12000 species of mosses. The science that studies mosses is called bryology. The reproduction of mosses is asexual and sexual. The sexual reproduction requires water. The mosses are multicellular, perennial or annual plants. Perennial mosses are evergreen. Most mosses are terrestrial. There are also water mosses, which have adapted to this habitat secondarily. Hornworts – one of the oldest groups of existing today terrestrial plants. The cells in most of the species contain only one chloroplast, which is common for algae, but not for the higher plants. They attach to the ground with simple rhizoids. Bryophytes – usually 1-10 cm high, most often growing in dense tufts in humid places. They have clearly distinct leaf and stem, and multicellular rhizoids. Liverworts – small irregular tile-like plants covering large areas of the ground, rocks, trees, and other surfaces. Peat mosses – mainly found in peat bogs. Most species are colored in red or brown. The stems grow in piles and carry a group and branches. The stem contains one or two layers of dead cells that transport water through the capillary path. Examples of mosses are Notothylas, Megaceros, Bryum, Lunularia, Sphagnum, etc. The peat is used for fertilizing and growing of plants, for heating, and for the treatment of rheumatoid diseases. Algae: Algae are a diverse polyphyletic group of lower thallus plants. Moss: Mosses are a diverse polyphyletic group of higher plants characterized by the absence of special tissues designed to conduct water. Algae: There are more than 30000 species of algae. Moss: There are more than 12000 species of mosses. Algae: The science, which studies algae, is called algology. Moss: The science, which studies mosses, is called bryology. Algae: Algae include unicellular, multicellular, and colonial organisms. Moss: All mosses are multicellular organisms. Algae: Algae are subdivided into diatoms, green, red, and brown algae. Moss: Mosses are divided into hornworts, bryophytes, liverworts, and peat mosses. Algae: From several micrometers (unicellular algae) to several tens of meters (some brown algae). Moss: From less than 1 cm to 10-20 cm. Algae: Algae are mainly marine and freshwater plants. Some species have adapted to live in humid soils, tree bark, wet rocks, etc. Moss: Most mosses are mainly terrestrial. Some species have adapted to live in the water. Algae: Algae can be floating or attached to the bottom of the water basins or other substrates by special cells. 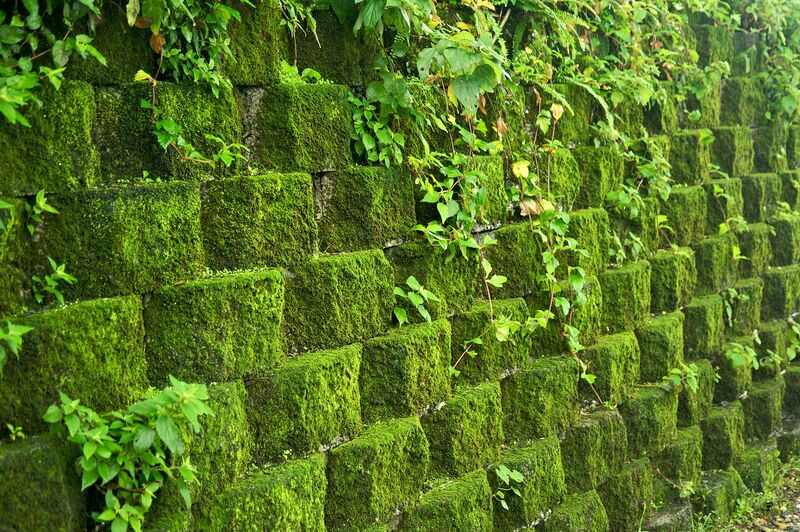 Moss: Mosses are attached to the substrate, which can be soil, rock, tree, and other surfaces. Algae: Some algae are used in the food and pharmaceutical industries. Moss: The peat is used for fertilizing and growing of plants, for heating, and for the treatment of rheumatoid diseases. Algae: Ulva, Spirogyra, Coralline; Sargassum, Ectocarpus, Melosira, etc. Moss: Notothylas, Megaceros, Bryum, Lunularia, Sphagnum, etc. Algae are a diverse polyphyletic group of lower thallus plants. Mosses are a diverse polyphyletic group of higher plants characterized by the absence of special tissues designed to conduct water. There are more than 30000 species of algae and more than 12000 species of mosses. The science, which studies algae, is called algology; the science, which studies mosses, is called bryology. Algae include unicellular, multicellular and colonial organisms, while all mosses are multicellular. Algae are subdivided into diatoms, green, red, and brown algae. Mosses are divided into hornworts, bryophytes, liverworts, and peat mosses. The length of the algae is from several micrometers (unicellular algae) to several tens of meters (some brown algae). The length of mosses is from less than 1 cm to 10-20 cm. Algae are mainly marine and freshwater plants. Mosses are mainly terrestrial plants. Algae can be floating or attached to the bottom of the water basins or other substrates by special cells, while all mosses are attached to the substrate. 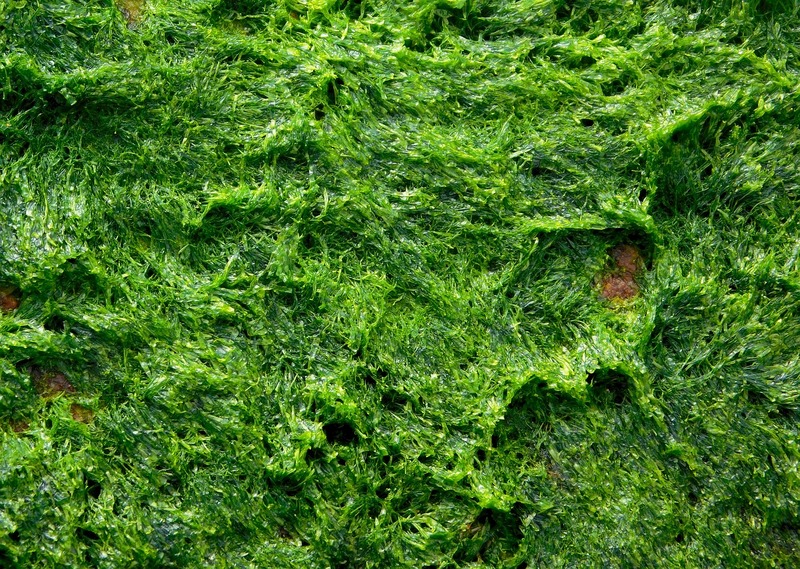 Some algae are used in the food and pharmaceutical industries. The peat is used for fertilizing and growing of plants, for heating, and for the treatment of rheumatoid diseases. Examples of algae are Ulva, Spirogyra, Coralline; Sargassum, Ectocarpus, Melosira, etc. Examples of mosses are Notothylas, Megaceros, Bryum, Lunularia, Sphagnum, etc. Dr. Mariam Bozhilova Forest Research Institute, BAS. "Difference Between Algae and Moss." DifferenceBetween.net. November 5, 2018 < http://www.differencebetween.net/science/difference-between-algae-and-moss/ >. Kozhuharova, K., K. Stoyanov, Ts. Raycheva. Anatomy and Morphology of Plants. Plovdiv: Academic Publishing House of the Agricultural University. 2011. Print. Mauseth, J. Botany. Burlington: Jones & Bartlett Publishers. 2014. Print. Sahoo, D., J. Seckbach. The Algae World. Berlin: Springer. 2015. Print.